What is Amazon Web Services and Why Should You Consider it? Presently, Amazon Web Services has more than 100k customers in more than 190 countries. And early 2019 will mark a new region launch in Bahrain, its first in the Middle East. With the advent of AWS cloud in 2004, business found a new opportunity to have low variable costs (that scale with the business) replace high infrastructure expenses upfront. Now, businesses don’t have to plan for and get IT infrastructure such as servers much in advance. 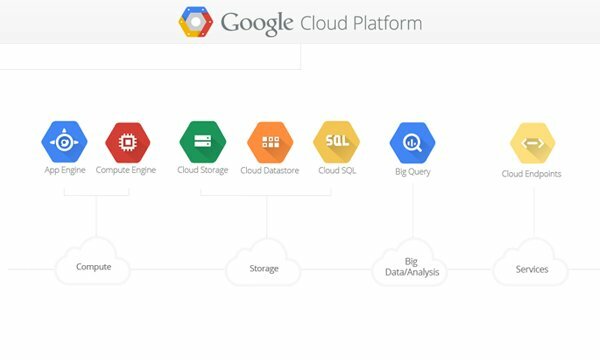 They can deliver results quickly by accessing thousands of servers virtually within a few minutes through the cloud. As AWS rocks the scene even in 2019, let’s learn what exactly it is and why you, as a business, can reap many a benefit from it. And while we do that, we’d also like to talk about Amazon EC2, the service that has made computing easier still for businesses. Commonly known as cloud computing nowadays, web services in the form of IT infrastructure services began to be offered by Amazon in 2004 for public use. AWS cloud computing provides a low-cost, scalable, and highly reliable infrastructure platform in the cloud. This has been adopted by thousands of businesses globally. At present, its regions include locations like Asia Pacific, European Union, North America, South America, Canada, China, etc. The locations are widespread to make sure the system is robust and secured against the impact of outages or other glitches. Why Do Businesses Need Amazon Cloud? Now that you know what AWS is, here is why your business could do well with it. Amazon web services make for a durable and secure technology platform. To ensure the safety and integrity of your data, Amazon’s data centers and services have several layers of physical and operational security. AWS also conducts regular audits to ensure its infrastructural security. It has implemented best practices in security and also provides documentation on how to deploy the security features. It ensures the availability, integrity, and confidentiality of your data and provides ‘end to end’ privacy and security. There are no long-term commitments or upfront expenses as far as AWS pricing is concerned. It provides low and ‘pay as you go’ pricing. Amazon passes the benefits of cost savings on to customers in the form of lower prices as it manages and builds global infrastructure at scale. You consume only as much storage or computing power as required. No upfront investment or minimum expenditure is required. Generally, it is not easy to predict the requirements for the resources. So, you might allocate fewer resources than required and impact customer satisfaction or you might allocate excessive resources and not be able to maximize return on investment (ROI). The flexibility of the cloud can help to achieve the correct balance. You can terminate your relationship with AWS whenever you want to, scale down or scale up as required, and have a fully self-service experience online. You can get new resources nearly at once. Also, you can reduce costs and drive revenues by taking on new opportunities as the cloud enables you to respond rapidly to changes small or large. You are not even limited to a set amount of computing resources, bandwidth, or storage. Amazon web services is a platform agnostic to operating systems and languages. You select the programming model or development platform that can be the most beneficial for your business. You can select the services (one or more) you want to use and also select how to use them. The flexibility lets you concentrate on innovation rather than infrastructure. You can use the programming languages, architectures, operating systems and databases you are familiar with. In this manner, there won’t be any need for your IT personnel to pick up new skills and the overall time to market and productivity will improve. 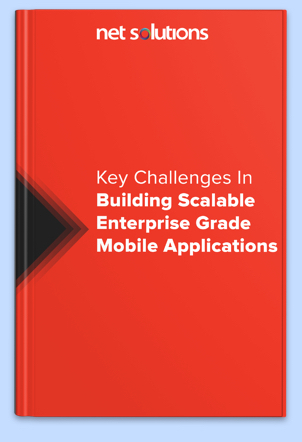 It is cost-effective and easy to migrate legacy apps to the cloud. You don’t have to rewrite apps and can utilize advanced capabilities of computing to move legacy apps to AWS cloud. You can migrate discrete components of legacy apps to move SOA-based solutions to the cloud. Generally, these components are self-contained apps with not many internal dependencies. AWS makes it easy to be productive, once you get started, whether you want to host a production solution or prototype an app. A number of customers improve their time to market on account of the flexibility that AWS offers. AWS lets you iterate, experiment, and innovate quickly through its huge global cloud infrastructure. You can quickly scale up or scale down on the basis of demand. You can also use new apps, rather than wait for months for hardware. So, you can swiftly subtract or add resources in accordance with customer demand and manage costs more effectively. You can also avoid resource provisioning upfront for projects with short lifetimes and variable consumption rates. You have to pay only for as much as you use, regardless of whether you deploy thousands of virtual servers or only one and whether you need them 24/7 or for only a few hours daily. In the context of AWS, the ability to scale computing resources downwards or upwards without difficulty and with very little friction is known as elasticity. You can use AWS to allot resources through API calls, in place of buying hardware, setting it up, and maintaining it to allot resources to apps. Auto-scaling and elastic load balancing can scale up Amazon cloud-based resources automatically in case of the unforeseen increase in demand and also scale them down if demand gets reduced. The AWS cloud also proves useful for jobs recurring at regular intervals, jobs that are ‘mission critical’ and jobs in the short term. And now that we’ve seen how Amazon cloud is extending advantages to businesses, we also find it important to discuss a service within AWS – Amazon Elastic Cloud 2. What is AWS EC2 and Why Businesses are Opting for it? It lets you use Amazon’s environment for computing and control your computing resources completely. As your computing needs change, you can rapidly scale capacity as you can get and boot new server instances in a few minutes through Amazon EC2. It also protects against common scenarios for failure and provides developers with tools to develop applications that are failure resilient. So, is that all why businesses are going for it? Well, there is more to it. And to find that out, let’s learn the important features of Amazon EC2. Prominent Features of Amazon EC2? This feature lets you lower latencies, reduce network jitter and get considerably higher packet per second (PPS) performance. As compared to traditional implementations, this feature lowers CPU use and enhances input-output performance through the use of a new network virtualization stack. Install the suitable driver and launch a hardware-assisted virtual machine (HVM) AMI in VPC to benefit from the augmented networking. I2, C3, and R3 support augmented networking at present. This provides persistent storage for instances of Amazon EC2. Amazon EBS volumes are attached to the network and persist without being dependent on an instance’s life. These can be attached as a standard block device to a running Amazon EC2 instance or used as the boot partition of an Amazon EC2 instance and are highly reliable and available. You can stop and restart Amazon EC2 instances, as required when you use Amazon EC2 as a boot partition. The good part about AWS EBS pricing is that you have to pay only for the storage resources consumed for maintaining the state of your instance. In a single availability zone, Amazon EBS volumes are replicated automatically. So, as compared to local Amazon EC2 stores, Amazon EBS volumes provide improved durability. If you need greater durability, you can create point-in-time consistent snapshots of your volumes (stored in Amazon S3), which are replicated automatically for various availability zones, through Amazon EBS. You can save your data for durability in the long term by using the snapshots as starting points for new Amazon EBS volumes. These snapshots can be easily shared with other AWS developers and co-workers. Provisioned IOPS volumes and standard volumes are the two kinds of volumes provided by Amazon EBS. For apps that have modest I/O needs, standard volumes are most suitable. For apps where I/O occurs in short sudden episodes at intervals, standard volumes are suitable. These are also suitable for use as boot volumes. For apps like databases, where workloads can be I/O intensive, provisioned IOPS volumes provide storage with low-latency and consistent performance. You can quickly put software running on AWS to use after you find and buy it from AWS Marketplace, which is an online store. You have to pay by the month or by the hour when you quickly launch pre-configured software from AWS Marketplace. Payment and billing are handled by AWS and the charges for software show up on your AWS bill. Starting with Amazon EC2, Amazon CloudWatch monitors Amazon cloud applications and resources and is a web service. Network traffic, disk reads and writes, and CPU utilization are among the metrics that Amazon CloudWatch provides you for visibility into overall demand patterns, operational performance, and resource utilization. You can set alarms, view graphs, and get statistics for your metric data. You simply have to choose the Amazon EC2 instances you want to be monitored, to use Amazon CloudWatch. You can also provide your own application or business metric data. Amazon CloudWatch will collect and store monitoring data that can be accessed using command line tools or web service APIs. You can launch a few chosen Amazon EC2 instance types as EBS-optimized instances in return for a low hourly fee. EBS-optimized instances make it possible for EC2 instances to completely utilize the IOPS provisioned on an EBS volume. Depending on the kind of instance used, throughput anywhere between 425 Mbps and 14,000 Mbps can be delivered by EBS-optimized instances between Amazon EC2 and Amazon EBS. Contention between Amazon EBS I/O and other traffic from your EC2 instance is minimized via dedicated throughput and this provides the best performance for your EBS volumes. EBS-optimized can be used with both provisioned and standard IOPS Amazon EBS volumes. Provisioned IOPS volumes can deliver within 10% of the provisioned IOPS performance 99.9% of the time and can achieve single digit millisecond latencies when attached to EBS-optimized instances. Static IP addresses that can be used for dynamic cloud computing are known as Elastic IP addresses. An elastic IP address is not associated with a particular instance but with your account and, until you release it, you control that address. By remapping your public IP addresses programmatically to any instance in your account elastic IP addresses let you mask availability zone failures or instances, as against static IP addresses. Amazon EC2 lets you work around issues with software or instance by rapidly remapping your elastic IP address to a replacement instance. So, you don’t have to wait for DNS to propagate to all customers or wait for a data technician to replace or reconfigure your host. Use this feature to import virtual machine images from your present environment to Amazon EC2 instances. You can export them back whenever you wish to. Leverage the investments you’ve made in virtual machines that fulfill your compliance, configuration management, and IT security needs by importing virtual machines as EC2 instances ready for use. All you have to pay is standard charges of usage for Amazon S3 and Amazon EC2. In accordance with the conditions you outline, auto scaling lets you scale your Amazon EC2 capacity up or down. 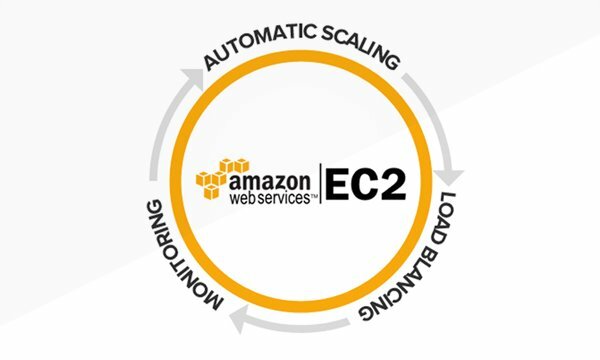 You can minimize costs during spikes or lulls in demand through auto scaling that automatically scales up or scales down the Amazon EC2 instances you are using. For apps that undergo weekly, daily or hourly usage variability, auto scaling is very suitable. Amazon CloudWatch enables auto scaling and you only have to pay the Amazon CloudWatch fees to use auto scaling. You can define a virtual network where you can launch AWS resources. This can be done through a section of the AWS cloud logically isolated with the help of Amazon VPC. You can configure network gateways and route tables, create subnets and choose your own IP address range. That’s because you control your virtual networking environment completely through Amazon VPC. Create a hardware virtual private network (VPN) connection between your VPC and your corporate data center. Use the AWS cloud as an extension of your corporate data center in this manner. You can place instances in several locations through Amazon EC2. The regions consist of availability zones and regions. Availability zones are insulated from failure in other availability zones and are distinct locations. These provide low cost and low latency network connectivity to availability zones within the same region. In case any of the locations fail, you can protect your apps by launching instances in other availability zones. The regions are in separate countries or geographic areas and have one or more availability zones. The service-level agreement commits 99.95% availability for every Amazon EC2 region. Here are the regions in which Amazon EC2 is available at present. High storage instances can benefit you if you are looking for high storage density per instance or use high sequential I/O for applications such as Hadoop and data warehousing. These benefit customers who need random, low latency and very high access to their data. High I/O instances are an instance type of Amazon EC2 that offers random I/O rates more than 100,000 IOPS to customers. High I/O instances are suitable for customers running relational databases with high performance and NoSQL. The instances are based on solid state disk (SSD) technology. 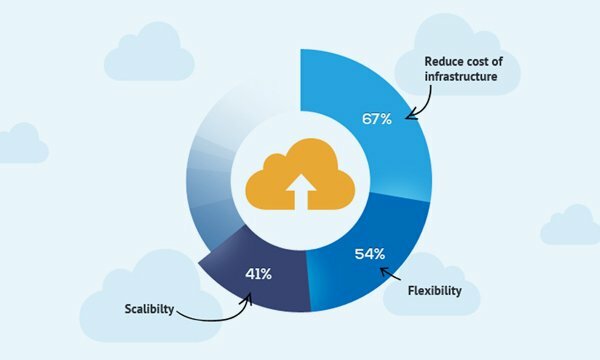 You can benefit from the cost advantages, flexibility and elasticity of Amazon EC2, and also achieve the kind of high network and computing performance achieved through custom-built infrastructure even if you have complex computational workloads such as apps sensitive to network performance and tightly coupled parallel processes. Apps can get the low-latency network performance needed for node-to-node, tightly coupled communication by programmatically launching high memory, cluster GPU, and cluster compute instances into clusters. High memory, cluster GPU and cluster compute instances have been designed to provide high-performance network capability. Cluster instances are suitable for customer apps which are required to perform network-intensive operations and provide considerably increased throughput. This automatically allocates incoming application traffic to various Amazon EC2 instances. Responding to incoming app traffic, elastic load balancing provides the load balancing capacity required to help you get greater tolerance for faults in your apps. Elastic load balancing sends traffic to healthy instances until the unhealthy instances have been repaired. For consistent performance of apps, elastic load balancing can be enabled within one or more availability zones. Request latency and request count are among the operational metrics for which you can use Amazon CloudWatch for capturing the metrics. You don’t have to pay anything more than the fees for elastic load balancing. What Benefits Does Amazon EC2 Offer? With this plethora of features, there are enough reasons why businesses choose EC2. Getting started with EC2 is simple and quick. All you need to do is select pre-configured software on Amazon Machine Images (AMIs) by visiting the AWS Marketplace and get started without delay with Amazon EC2. Use the EC2 Amazon console or through a single click launch to install the software. Contingent on its requirements, your app can scale itself up or down by itself, because Amazon EC2 is controlled through web service application programming interfaces (APIs). You can commission any number of server instances at the same time to increase or decrease capacity in a few minutes through Amazon EC2. The monetary benefits of Amazon’s scale are passed on to customers. You pay only for the computing capacity you use and at a rather low rate. While EC2 is free to try, there are paid instances that you can choose from. In any case, you only pay for what you’ve chosen, without any sudden, hidden expenses. You can interact with the instances as you would interact with any machine as you have root access for each. So you completely control your instances. You can save data on your boot partition when you stop an instance and restart it later using the web service APIs. Reboot instances remotely through web service APIs. You can also access your instance’s console output. Your computing resources are secured and the networking functionality made robust by Amazon EC2 working along with Amazon Virtual Private Cloud (Amazon VPC). You decide the IP range for the VPC within which your compute instances are placed. You specify the instances that remain private and those exposed to the internet. For even more isolation, you can run your instances on dedicated hardware. These are known as dedicated instances and run on resources provisioned through EC2. You can use industry-standard encrypted IPsec VPN connections to connect resources in your VPC with your existing IT infrastructure. You can control network access to and from your instances through network access control lists (ACLs) and security groups. To leverage VPN connections, private subnets, network ACLs and outbound security group filtering, among other advanced networking features, you can create a VPC and introduce instances into it, if you don’t have a default VPC. There are various software packages, operating system instance types that you can select through Amazon EC2. You can choose a boot partition size suitable for the operating system and app you have, in addition to instance storage, CPU and memory configuration, through AWS EC2. Quickly and predictably commission replacement instances through the dependable environment that AWS EC2 provides. The service leverages Amazon’s data centers and network infrastructure to provide 99.95% availability in all Amazon EC2 regions (in accordance with the Amazon EC2 service level agreement). For a variety of apps, Amazon EC2 provides storage, query processing, and computing solutions by working in conjunction with Amazon Simple Queue Service, Amazon Simple Storage Service, Amazon SimpleDB and Amazon Relational Database Service. Amazon cloud is a secure service, that can help you to reduce costs of infrastructure such as servers, along with savings on the number of staff required to build and maintain the infrastructure. So it has a positive impact on your bottom line. Are you already using Amazon cloud or would you like to start using it? Please share your experience with us in the comments section below. Sunil finds his forte in defining software architectures. With over 10 years of experience in the industry, he has contributed to several leading projects. He loves spending time with friends and ensures to do so even on a hectic day. What is Amazon Elastic Compute Cloud (Amazon EC2), its Features and How Can it Benefit you?